Samsung will be launching its own cryptocurrency service with its Galaxy S10 smartphone next month. A set of live images of the Galaxy S10 have surfaced online showing the device running Samsung Blockchain Keystore app. One of them is a splash screen of the app, which notes that Blockchain KeyStore “is a secure and convenient place for your cryptocurrency.” The app will allow users to import their existing cryptocurrency from a previous wallet in addition to creating a new wallet. In the image, Ethereum is listed as a supported cryptocurrency but according to Sammobile the app will support Bitcoin, Ethereum-derived token ERC20 and Bitcoin Cash at launch. Then there’s also a relevant menu item for Blockchain KeyStore in the Settings app under the Biometrics and security section, which allows users to secure and manage their blockchain private key. A separate report by SamMobile has claimed that the cryptocurrency service would be split into two parts – a cold wallet for saving digital currencies, public and private keys, and signing private keys for transactions and a crypto wallet for viewing account information, transfers and transaction history. Apart from the information on Blockchain KeyStore these images also confirm many design elements of the upcoming flagship. As expected the bezels are almost non-existent and there’s a punch-hole front camera on the top right corner of the display. Samsung Galaxy S10 and S10+ are expected to launch on 20th February powered by Snapdragon 855 processor. 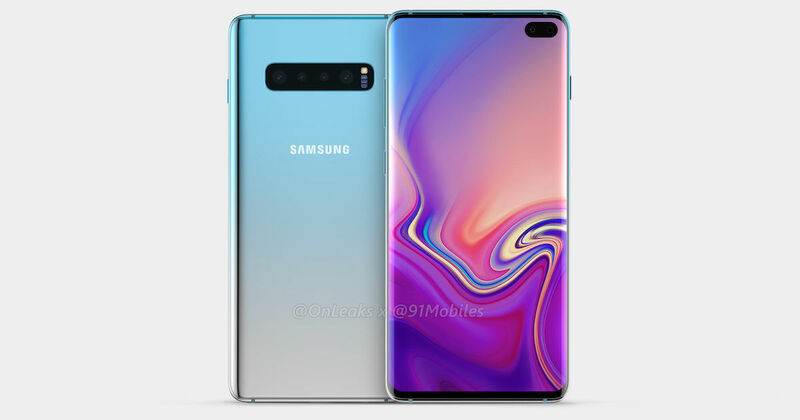 The Galaxy S10 will reportedly come in two variants – 6GB RAM + 128GB storage and 8GB RAM + 512GB storage, while 6GB + 128GB, 8GB + 512GB, and 12GB + 1TB are the expected RAM and storage on the Galaxy S10+. The third S10 Lite variant will have 6GB of RAM and 128GB of storage. Given his obsession with all things tech, becoming a writer in this field was the natural career progression for Siddhant. When he's not busy following the tech world, he loves spending time with pets or slaying Messi on the virtual soccer field.